Frederick Zikpli a one year old boy has been held in the grips of kidnappers who are demanding for an amount of GHC 5000 as a ransom for the boy. He confirmed on Citi FM that the perpetrators had called him in the presence of the police demanding GHC 1000 on a mobile money account. 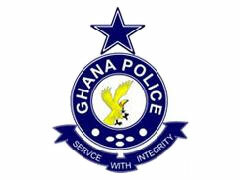 “I quickly went to the police station to inform the crime officer and at that very moment, he called again in the presence of the crime officer demanding GHC1,000 through a mobile account number. I’m sure they are investigating the matter.” He said. The mother of Frederick Zikpli said she had left the boy and his twin in charge of her husband’s sister before leaving for the Suhum market between the hours of 11:00 am and 3:00pm. However, upon her return, she realised one of them was missing and she quickly reported to the Police in the Kyebi.